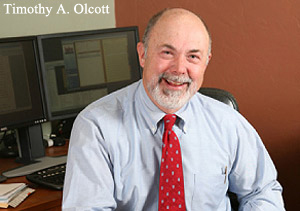 Timothy A. Olcott has practiced the areas of estate planning and the administration of trusts and estates since 1974 and has practiced law in the Green Valley/Sahuarita area since 1991. He received his undergraduate degree from the University of Minnesota, Minneapolis, and his law degree from Emory University, Atlanta. During his years of practice, he has served as a regional director of the Minnesota Alumni Association, the Examiner of Titles for Brown County, Minnesota, and as a member of the Minnesota State Board of Legal Certification. He has also managed a bank trust department. He is a member of the State Bar of Arizona and its Probate and Trust Law Section; the Pima County Bar Association; the Southern Arizona Estate Planning Council; the Minnesota State Bar Association and its Probate and Trust Law Section; and the State Bar of Georgia. 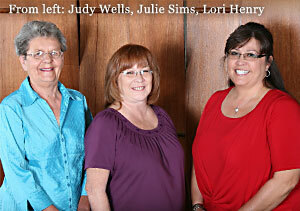 He is also certified by the State Bar of Arizona as a specialist in Estate and Trust Law. Since our inception, the foundation of our success has been the dedication of top-notch attorneys and professional staff. It is our goal to attract and retain the highest possible talent. To achieve this goal, we strive to provide an environment where innovation, collaboration, partnership, and mutual respect are fostered, along with a sense of balance in our commitments to clients, families, and the Green Valley/Sahuarita community in which we live and work. © Timothy A. Olcott, P.C. All rights reserved.